I haven’t even started typing this and I have tears. Chelsea is one of a kind. She truly is beauty and grace, and she has a heart of gold. Choosing her to be our wedding planner was the absolute best decision we made in the wedding planning process. She not only is fabulous at her job and what she does, she also forms a friendship with every bride that crosses her path. Another thing I love about Chelsea is how beautiful and loved she makes everyone feel. She not only is someone I will always remember looking back at our wedding, but she is someone I will always cherish and have as a friend! I think every bride should choose her to be a part of their day. Like I mentioned, it brings tears to my eyes to think about the fabulous role she had in my big day and how flawless she helped make it. I also can not leave out how amazing her team is! You will not regret having Chelsea as your wedding planner - as a matter of fact, it’ll be the best decision you make! When I first met Chelsea I immediately noticed how beautiful, well organized and graceful she was, one of those women you have to ask yourself “how the heck does she do it all?” Slightly intimidated I started the journey of planning my wedding to my sweet Jacob with her. I quickly learned so many other wonderful qualities about Chelsea, her grace and 100% commitment to making my day a dream come true was obvious in every single detail of our wedding. Chelsea put all of my normal bridal worries and anxieties at ease and handled every task, big and small I threw her way. I couldn’t have asked for a better experience in my wedding planning journey. She made my day an absolute fairytale and most importantly she became a true friend, wonderful influence and role model in my life. I cannot express my gratitude for her sweet, graceful soul. Chelsea is hands down the best wedding planner out there. She pours her whole heart into everything and loves what she does. I was so very fortunate to find her at the beginning of my wedding planning process and she was there with me through the whole thing. From the small meetings to on site meeting with vendors. She has an eye for it all and knows everything thing you need to know about weddings. I never stressed one time because Chelsea made me feel stress free and like everything was taken care of. If you are looking for a wedding planner or event planner, look no more, she is absolutely amazing. The moment I started our planning process I knew I wanted Chelsea to be our planner. Choosing your wedding planner is SO important and Chelsea will not only do an excellent job, but also help to make the process smooth and stress free for you! Because of Chelsea we were able to enjoy our engagement and the entire planning process. We knew we were in good hands with Chelsea and she far exceeded our expectations! She walked hand in hand with us, every step of the way and executed our vision perfectly. She is such a visionary and was able to make our dream wedding a reality. I never would have been able to do it without her. She thought through every small detail and went above and beyond to make our wedding PERFECT! Our wedding would not have been the same without Chelsea and I know she is the perfect choice for any wedding! When it came time for my daughter to get married, it was without hesitation, we chose Chelsea to plan and coordinate this entire wedding and journey leading up to. After witnessing countless other events come to fruition from the ground up, with incredible heart, talent, and a sprint of excellence, it was no doubt our obvious first option was to go with Chelsea. To say our expectations were exceeded is still an understatement! Chelsea has the incredible gift of helping every bride gain vision for what she wants and desires for her big day. She sees through the unique lense of each bride and partners with them to see what they really want. She helps them to catch vision for their own original style, and then works diligently with her team to bring that vision to life. My daughter and son-in-law, and our entire family, were given such a gift, by the endless details that went into this wedding. It brings me to tears when I think of all the endless hours, conversations, over the top effort that went into every last detail. More than what was seen on the outside, was the heart of it all in the inside. 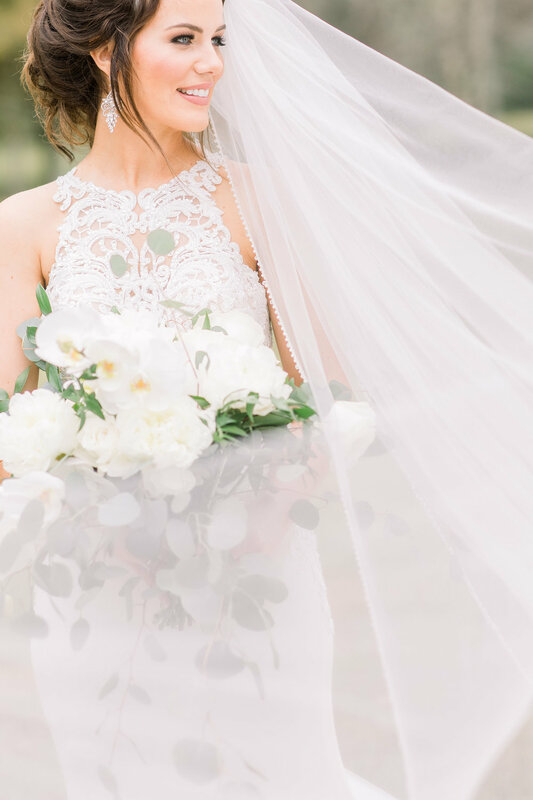 Chelsea brings such talent and creativity to the table, desires personal connection with her brides (and their families), and most importantly, has the eager desire to meet even the unspoken needs of the bride and groom during this most precious time. This is the very heartbeat of this company! As a mother of the bride, this time can be tense and stressful, yet Chelsea comes in bringing balance, peace, and an overall security, that everything is going to be wonderful. She worked purposefully to make sure I was always at ease, that every deadline was met, and that my daughter and son-in-law were going to have the best day of their life. I want to cry just thinking about it! You can not put a price tag on what a blessing having her for a planner was. There are no words to describe how very thankful our entire family is. I feel like we placed a huge order, but at the time of delivery we were given so far more than what we ordered, and we just had to sit back and receive and watch as the months of planning and preparing unfolded before our eyes. Chelsea can take your seeds and bring forth a bouquet of beauty that is unparalleled in this industry! May God bless her business and the heart she has to see this truly be the day it was forever meant to be. I remember when I got engaged, I was over the moon, out of my mind excited to be marrying Joethan. All of that excitement eventually fizzled into worry and angst over planning a huge event. In my full time job, I planned events for 1,000 people, but planning your own wedding is a different kind of event planning. I had hopes that I could do it myself, but that thought became humorous when I actually started planning. Deciding to hire Chelsea as the wedding designer and planner was the best decision I made amongst the hundreds of wedding decisions that had to be made. Budget was tight for us, but Chelsea assured me that she worked with every kind of budget and she definitely held true to that. I knew how I wanted my wedding to feel, but I didn't know how to get there. Chelsea came in at the perfect time and executed every bit of my vision! She worked hand in hand with me, helping me think through pivotal decisions before actually making them. Her experience in event planning made her advice stand out above everyone else's (everyone has an opinion in this process!). She was more than just a sounding board. She shopped with me, budgeted with me, and talked me through all the moments when I was about to fall apart. Thanks to Chelsea, when my wedding day arrived I was stress free, worry free, and on cloud nine. Had I not worked with Chelsea, my wedding would have been a backyard BBQ with a little decor here and there. If you take a look at my wedding photos you will see that my wedding far surpassed a backyard BBQ. My wedding felt magical and every detail of that is owed to Chelsea! Having Chelsea be a part of our special day was something that we will always be grateful for! During the upcoming months before our wedding, Chelsea made sure to answer every single question, help with any wedding details that were asked of her, and most importantly became a wonderful friend and amazing pray warrior for our wedding and our marriage. She was one I knew I could count on at any time. As our weekend arrived, she was there for every single moment and went over and beyond by helping make our day a complete dream! She is one of the sweetest, kindest, and most thoughtful people I know, and I am so thankful that we chose her! Chelsea, we will forever cherish you being a part of our wedding, and are so glad we are now able to call you one of our dearest friends! Chelsea is one of a kind! Her optimistic outlook, sweet demeanor, and calming ability, makes her someone you want by your side. She is organized and thinks of everything! She helped me plan my wedding from the very beginning to the end, all in three months and out of state!!! She is very knowledgeable and can help you articulate what YOU want. Chelsea is very professional, cares about you and all the details, and will always go the extra mile! I could not have done it without her! Chelsea really makes your big day all about you. She doesn't want you to have to think about a thing other than getting yourself ready to marry the man of your dreams. She stayed so busy the entire time but was able to enjoy sweet moments as well. During our first dance, I remember looking over at her and she was one of the few standing and so attentive. The thing I love about Chelsea is that she puts her ALL into making YOUR day special. You really won't regret having her stand by you, supporting you and helping you with the many decisions you have to make. 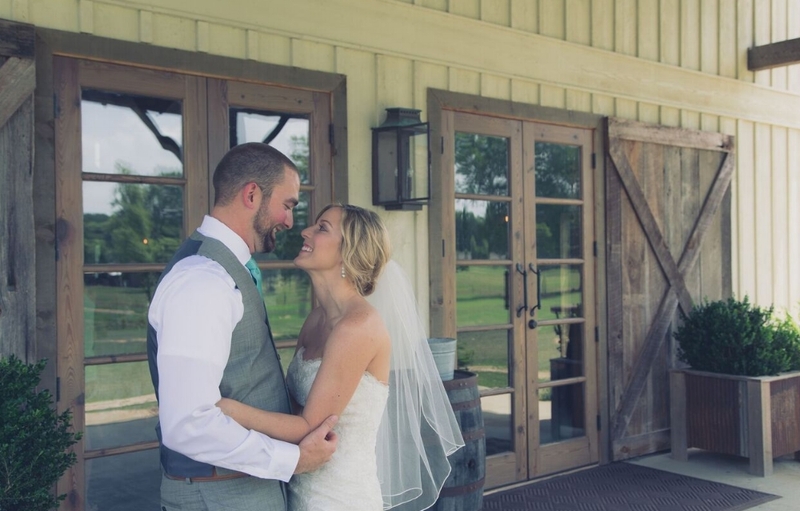 "Words can not express how amazing Chelsea was as my wedding planner!! She made sure everything went smoothly that day, letting me feel stress free and knowing everything was being taken care of!! She was very professional and helpful in all ways!! I appreciated how she took charge and ran my wedding, making it the most special day. She is such an amazing person and is extremely talented in running events, setting them up, decorating, and breaking everything down making it all beautiful and organized at the same time!! Our day wouldn't have been the same without her touch and all that she did!! We love Chelsea and are so thankful for all that she did!!" "I am in a unique position to provide a few comments regarding Chelsea and her many contributions to event coordination for Youth-Reach Gulf Coast. From galas, to dinner and reception events, with golf tournaments and open house events, Chelsea's eye for detail, visual tastes, attention to menus, and schedule coordination have benefitted us, greatly. For a program like Youth-Reach, the presentation needs to both portray, the heart of the ministry, and reflect our stewardship of resources. Chelsea has worked with tight budgets and still over delivered. She has consistently provided our supporters with high quality events, that have left attendees impressed with our efforts, and with the professional manner in which this work is portrayed. From the overall visual appeal, to the smallest detail, Chelsea has always brought our events up to a new level. I can, without reservation, recommend Chelsea Crawford to anyone who is looking to hold a memorable, tasteful and impressive event." —Curt Williams, Executive Director | Youth-Reach, Inc.